Why Are You Practicing That Kata? A recent day at work once again illustrated how my saying is true. Working at the garden center is physically demanding. According to my FitBit, during a nine hour shift, I would walk an average of 11.7 miles and burn around 3,100 calories. In addition to walking, activity includes loading and unloading 40 pound bags of garden product (soils, mulches, and the like) and carrying tanks of propane for barbecuing. During a normal shift, I’m paired with a part-timer for about four hours. Usually my co-worker is a young college student. This particular day, I was with Dave (a fictional name). It was a particularly hot day, sunny day. This type of day is difficult as there is little to no shade. Dave and I just finished loading a customer with twenty-four bags of mulch (each weighing forty pounds). Before returning to our normal duties, Dave went and sat down for a minute or two. I went to get my water. Just then, the owner decided to leave the comfort of his air conditioned office and take a leisurely walk outside. As he walked past me, he saw Dave sitting. He commented, “It drives me crazy when people sit and do nothing.” I told him that not only was that the first time Dave had sat down, but we also just finished loading a relatively large order. In less than five minutes both of us would be back to the physical task of our normal work. The owner’s reply was simply, “I didn’t know, thanks.” And that’s the point, the owner saw fit to observe and judge without knowing all the facts. He presupposed that he needed to correct the situation without knowing the totality of the circumstances. The time was the early 1990’s.I just finished a particularly bad day at work, It seemed nothing went according to plan. Additionally, I was having difficulty in my personal life.It seemed I could do nothing right. Except, my kata. Even back then, kata sustained and nourished me. So I went to the Dojo. It was an “off” night; no classes were scheduled. I had the key to the Dojo and knew I would have it to myself. 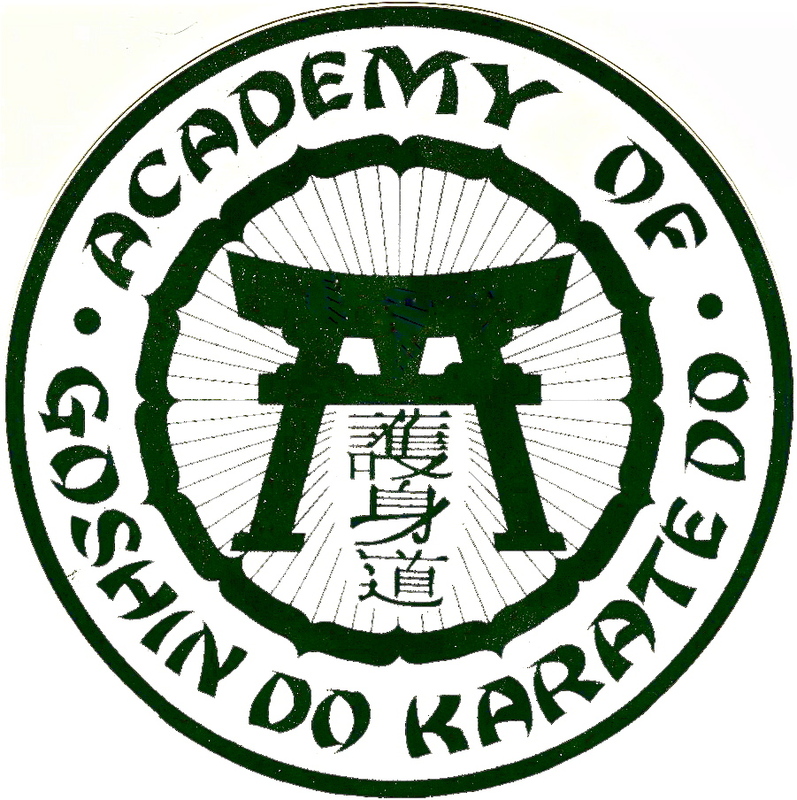 I entered, changed into my Gi and began to run through my kata. My mind was cluttered and my emotions were frazzled. This greatly affected my kata. I knew my kata wasn’t fully on par, but that was okay. The kata were special and historical treasures. Kata is not known by the average person. Knowing them and being able to perform them made me feel unique. Could I actually be doing something above and beyond a normal person? Could I be ding something “right.” “Yeah, I feel good”, began to fill my thoughts. After a while I heard the lock turn and door open. Sensei had stopped by the Dojo. He paused and watched a bit. The first words out of his mouth were, “Your timing is off and your focus isn’t quite there; you’d best concentrate.” No “Hello”, no greeting, no “Hey I saw your motorcycle outside and stopped in.” Just a presumption that Sensei needed to correct my kata – and – that I wanted correction at that exact moment. “Well, so much for doing something right”, snapped into my mind. 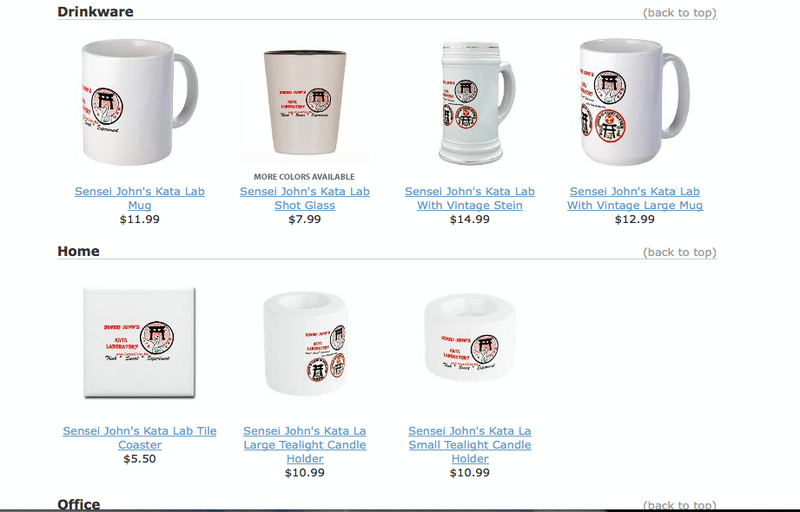 Had Sensei asked, I would have acknowledged that my kata was a bit off. I wasn’t trying to improve my kata, I was simply trying to enjoy myself at something that was unique to me. End of story. With that, I thanked Sensei, changed, left the Dojo and took a long motorcycle ride. 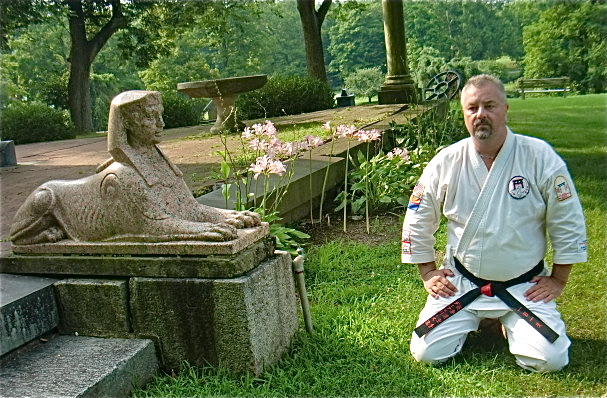 I found a quiet wooded area and alone, again, performed my kata. The point is first find out the totality of the circumstances before judging another and presuming they want an answer. From that day forward, whenever I observed a student perform a kata, I would ask the student “Why are you performing the kata?” Depending on the answer, I would offer correction, if appropriate. Why do I so strongly advocate the idea that everyone should practice Sanchin Kata? 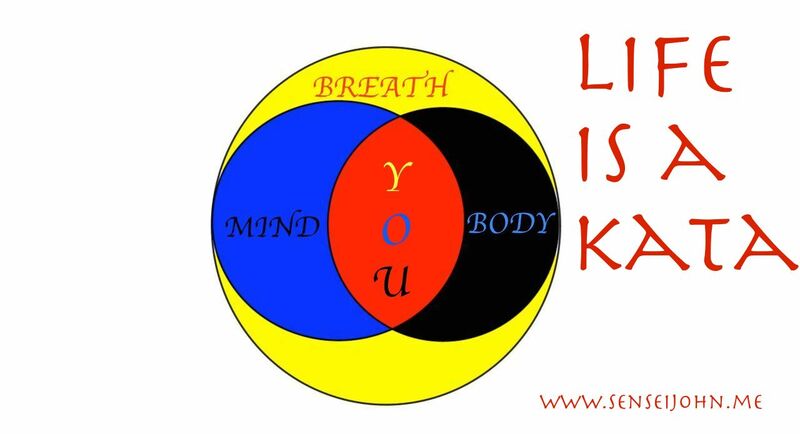 Simple, “Life is a Kata.” Sanchin is a gateway to comprehending the basic elements of life.To facilitate learning Sanchin, anyone can freely acquaint themselves with Sanchin Kata using the “Try Sanchin Kata” page tab above. The effect whereby you simultaneously exist in the three distinct states of a physical self, a spiritual self and a metaphysical self (connected with your environment). In addition to the “Try Sanchin Kata” page, throughout this blog, there are articles and videos that guide you in exploring the three aspects in greater detail. You will also enjoy the my free Shibumi Kata which you can explore using the “Try Shibumi Kata” page tab. Remember my simple concept that “Life is a Kata” and Sanchin is the gateway to understand how to improve each aspect of life.